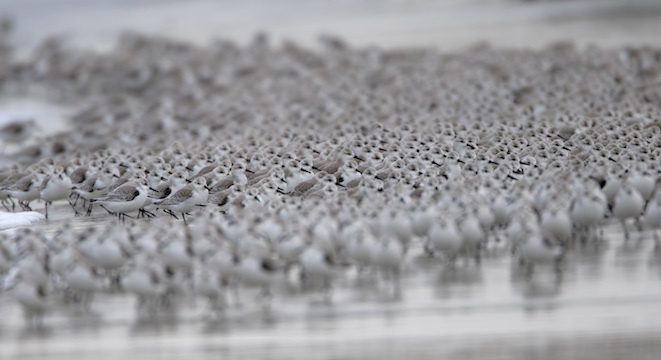 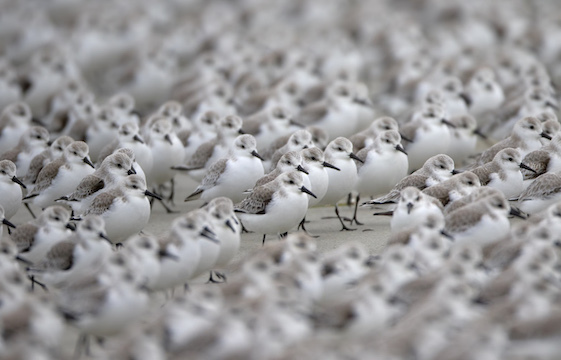 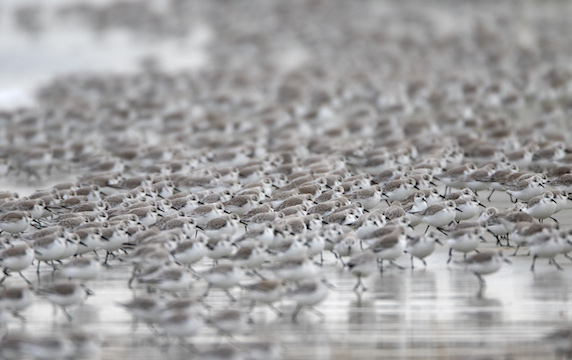 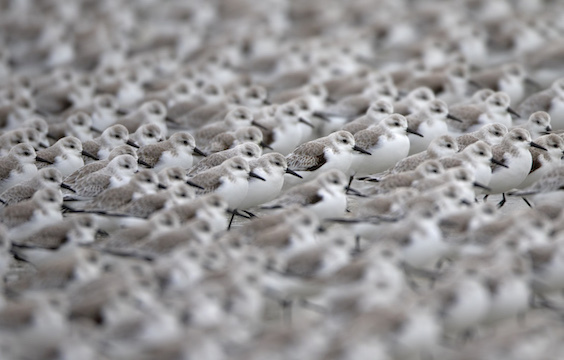 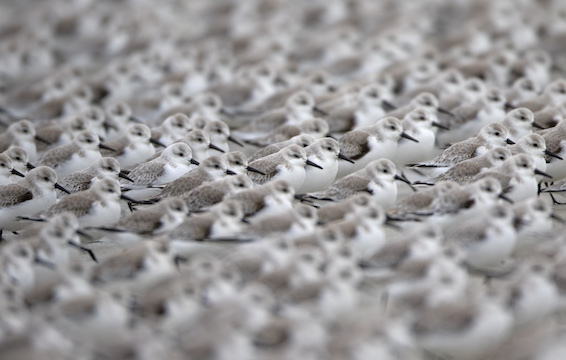 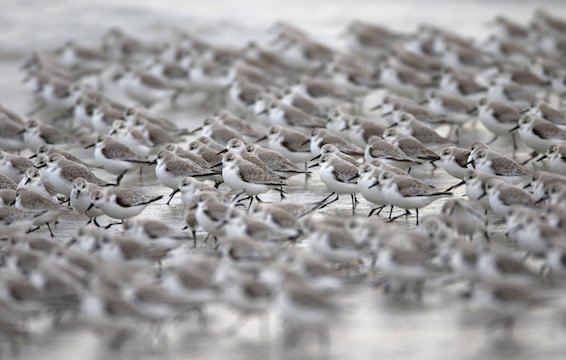 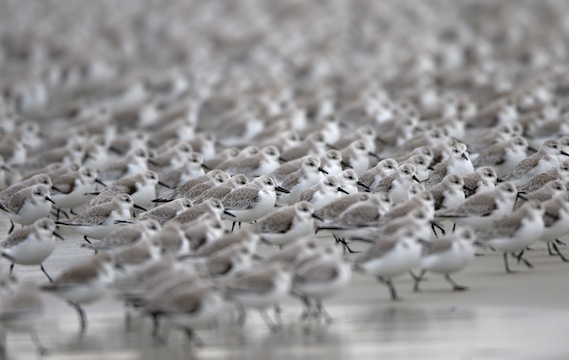 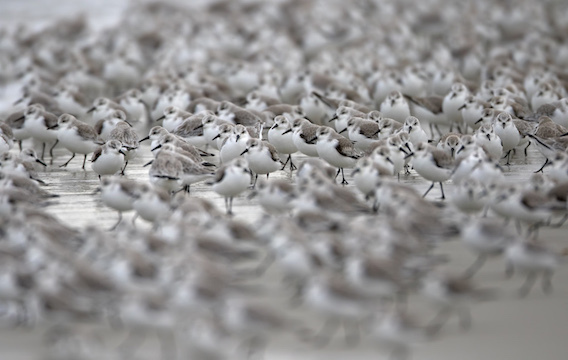 Sanderlings are the quintessential wintertime beach birds, running before the waves in animated flocks along almost all of the coasts of the temperate and tropical Americas. 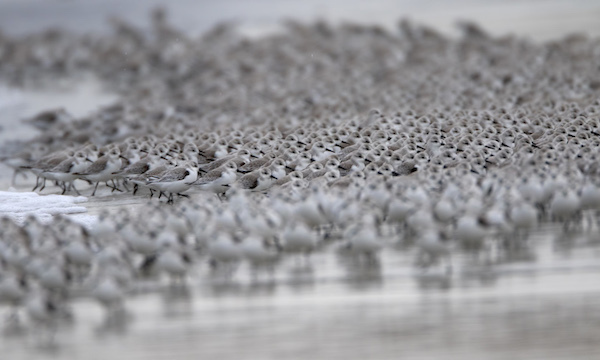 This was the biggest flock I've ever seen. 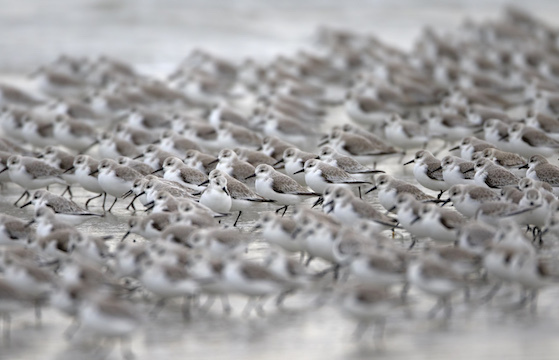 The birds were feeding busily on Spanish Bay beach on the Monterey Peninsula in California. 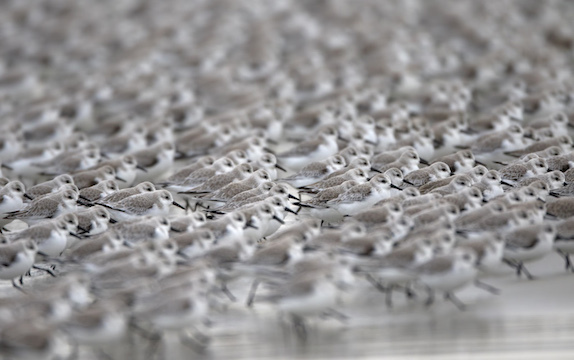 Sanderlings in flight are shown on this page; fully winter-plumage birds are here; some summer-plumage birds are here.